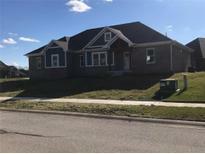 Below you can view all the homes for sale in the Rockingham subdivision located in Plainfield Indiana. 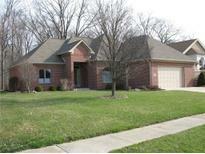 Listings in Rockingham are updated daily from data we receive from the Indianapolis multiple listing service. To learn more about any of these homes or to receive custom notifications when a new property is listed for sale in Rockingham, give us a call at 480-577-2304. Custom built brick ranch offers the following: 3 bedrooms, 2 bath, large great room with gas fireplace and 10 ft trey ceiling, four piece crown trim, dining room with 10 ft ceiling, master bedroom with 10 ft ceiling and walk in closet, split floor plan, awesome kitchen and hearth room with fireplace and hardwood floors, 15x10 screened porch, finished garage with storage cabinets and exterior landscaping with continuous edging. MLS#21632417. Carpenter, REALTORS®.